The most important part of any business is not profit, but cash flow. In order to have positive cash flow, you need to have cash flowing into your business. That means that sending out your professional invoices and getting paid in a timely manner are your two most important tasks. However, there are many small business owners out there who just lack the necessary knowledge. Because of this, they make many accounting and invoicing mistakes, which causes their invoices to be paid late—or not at all. In order to avoid this, you should be vigilant in the knowledge required to send out invoices promptly, to get paid quickly and increase your cash flow. To that end, we’ll look today at the most common invoicing mistakes that small businesses and freelancers make and how to avoid them completely. If you don’t send your invoices out on time, you won’t be able to get paid on time. Many businesses that you’re sending invoices to have multiple people signing off on invoices before they will pay them. Sending out your invoices late means that you’re essentially going through that process late. Businesses also have a cycle of invoices processing, and the larger ones have more strict accounts payable systems. If you get into the process on time, you’ll avoid being paid late. If you have no proper system in place for sending out invoices, you could end up sending the invoices to the wrong person or department. Because of the accounts payable processes discussed above, you’ll only end up getting your payment delayed. Ensure the details on the invoices are accurate. If you are not sure, send an email to your client to verify the address before creating and sending out your invoices. Putting incomplete details on your invoices is one of the most common invoicing mistakes. If you do not detail the services or products that you are charging for (itemizing), your client could end up confused or frustrated, and may delay or not pay the invoice at all. You should itemize in general or specific terms (“web design” or “WordPress website design with video and scrolling slideshow”). Either way, both you and the client should be clear what the charges are for. 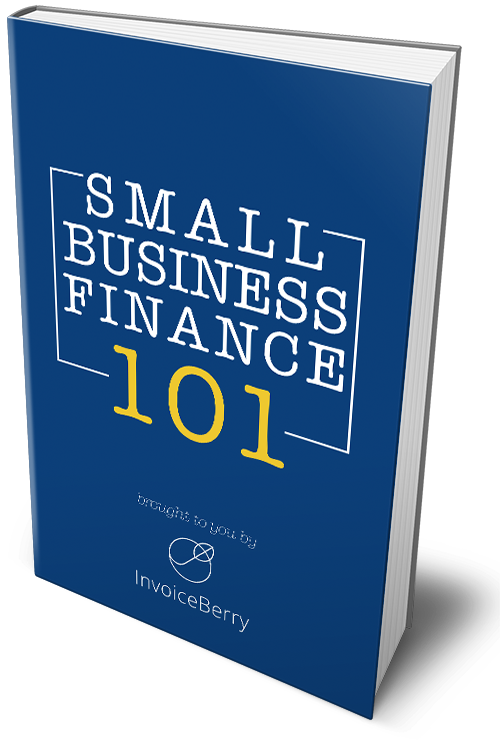 Many small businesses and freelancing make this mistake: they don’t invoice regularly. Instead of setting aside the first week for creating and sending out invoices, they do it whenever they have free time. Often, they forget about it and have invoices backed up for months on end. This obviously impacts their cash flow negatively. Set up a schedule to remind yourself to create and send out invoices. Even better, with online invoicing software such as InvoiceBerry, you can set up recurring invoices so that your invoices will be regularly sent to the same client for the same amount. The worst of the invoicing mistakes, this happens either out of forgetfulness or fear of confrontation. Sometimes clients forget to pay. This is usually without intending to, because clients like all other business people get quite busy. In those situations, they may forget your mail under a pile of other important mail. In order to avoid this, be sure to follow up with your clients who are already late on payment. If you’ve set up your policies well, your client will be aware of late fees, and you can send a friendly reminder email to help them avoid that late fee. If you haven’t made your pricing clear, your client can have some nasty surprises when they receive your invoice. This can lead them to challenging, delaying, or refusing to pay for your invoice. For bigger companies, your invoice can get lost in the accounts payable processes, which are set up to avoid fraudulent payments. In order to avoid having your invoice labeled fraudulent, make your pricing policies clear before you agree to the job. If you are sending out unprofessional, Excel- or Word-created invoices, your client may look on it as unprofessional. Besides being a mark on your reputation, they also may just forget it—common for busy clients. Even worse, if your invoice has spelling and formatting errors, you may not get your invoice paid at all. To avoid that, you should proofread and use online invoicing software such as InvoiceBerry that helps you create beautiful, simple invoices quickly and easily. If you don’t have any late fee stated in your policies, your clients may have no incentive to pay on time. Late fees are to compensate you for your client’s tardiness. Also, if you are setting long late payment terms, such as 30 or 45 days, your client may procrastinate on your bill. To avoid this, set payment terms for no later than 14 days. That gives your client two weeks to pay. If the due date is past, send a polite email reminder or place a friendly phone call with a few days’ grace period. You should, first of all, have Terms and Conditions in place that spell out all the late fees, pricing, and other details about your products and services. You should also have these policies clearly stated on your invoice, so that a client can have their questions answered right on the invoice. This will help clear up any confusion that may result and help you get paid faster. Every invoice that you send should be backed up in one form or another. This could be in paper format, although that is not recommended, as the risk of loss or damage is too strong. Instead, you should have a digital backup. This can be easily accomplished by email, cloud storage, or online invoicing software. In general, if you have no clear invoicing system set up, then you’re setting yourself up for invoicing failure. This is the mother of all invoicing mistakes, as it sets up the space for these other invoicing mistakes to occur. All of these can be accomplished on your own, with added time and effort. You can also use online invoicing software such as InvoiceBerry to get the job done in almost no time. In under 60 seconds you can create and send your invoice, which means you’ll get paid much faster. If you follow these steps, you’ll be able to avoid all of these invoicing mistakes. Once your invoices are quickly, accurately and professionally sent, you’ll see your cash flow increase and your business succeed.